An investment in an equity might be beneficial in generating high returns in the long run. However, they are not risk-free. Fixed Deposit, on the contrary, offers sizable returns but is risk-free. FDs are the best investment options when it comes to parking your surplus income. This debt asset instrument is one of the most popular choices among investors. Yes, the current fixed deposit rates being offered by the banks are not as good as they once were. However, there are Non-Banking Financial Companies (NBFCs) who are still offering a higher rate of interest. There are various banks throughout the country which offer the rate of interest between 6-7%. However, NBFCs offer a better rate of interest on your investment. Furthermore, for senior citizens, the fixed deposits are more beneficial. Thus, this is one of the most favourable times to invest in fixed deposits. Senior citizen fixed deposit is similar to normal fixed deposit accounts. The major difference here is that the interest rate offered is higher as compared to normal fixed deposit. Thus, this helps the investor earn a little more than the normal investors. As far as the eligibility is concerned, the account can be opened by both: Indian citizens as well as NRI’s who are 60 and above. NBFCs offer 100-250 bps more returns than banks. Regardless of the tenure that you choose, the FD interest rate will be higher than the bank. One thing you should avoid doing is waiting for the right time to come to invest in a fixed deposit. Many people doubt the liquidity that the fixed deposit offers. However, it is important to know that there are various alternatives that you can opt for. You can invest in a linked-fixed deposit account, or you can even opt for an overdraft facility. Easy Documentation: If you opt for a Fixed Deposit investment than most of the financial institution will require you to complete lengthy documentation. However, that is not the case with NBFCs as they offer easy documentation. Online Maintenance: When you decide to invest your surplus money with an NBFC, the amount can easily be managed online. Interest transfer and other details can be accessed online. Flexible Tenure: An NBFC offers tenure between the periods of 12-60 months. You can even opt to close your current FD and start with a new one. Volatility Free: The most attractive part about investing in an NBFC is that fixed deposits in here offer assurance. Regardless of the market condition, fixed deposits offer security. Portfolio Enhancement: Every investor seeks safety when it comes to their lifelong savings. When you decide to invest in a highly rated NBFC, you enhance your portfolio. These are few of the benefits that are offered by the Non-Banking Financial Companies (NBFCs) which makes them a favourable investment option at this point of time. Furthermore, it is important to know that fixed deposits are better than bonds. The primary reason for that is because bonds involve risk and are beneficial only if invested for a longer period. Fixed Deposits, on the contrary, are risk-free and can be invested for a shorter tenure. Apart from that, an individual can also avail tax benefits by using Section 80C. The interest on fixed deposit is taxable and is counted as income. However, a tax deduction can be claimed by an investor. After keeping these points in mind. We can conclude by saying that this is the best period if you are looking forward to investing in a fixed deposit. 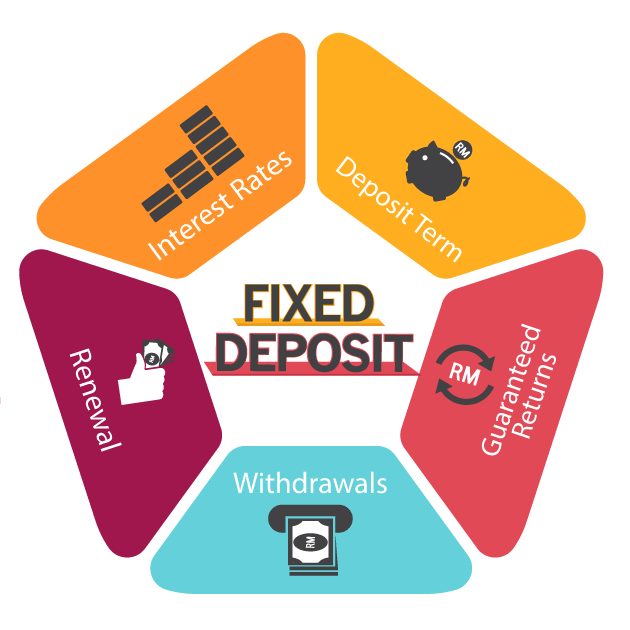 Why Investing in a Fixed Deposit is Favourable?